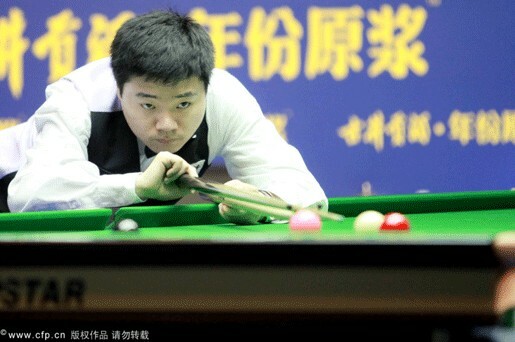 China’s Ding Junhui beats Hitman in thrilling opener at Haikou World Open. 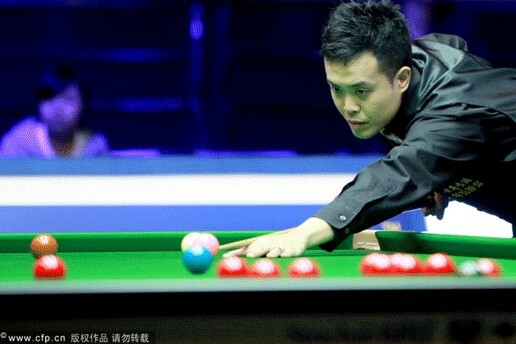 Marco Fu hits a ball in the first round match of Haikou World Open against Mark Williams. Marco Fu outlasted Mark Williams 5-2 to set up a last 16 clash with Ding Junhui at Haikou World Open. Each man amassed their only notable break of the contest in an even semi-session, with Welshman Williams’ 86 coming immediately after the Hong Kong-born Fu’s 74. But after the two emerged from their mid-session interval level at 2-2, Fu seized control and grafted his way to three consecutive frames to ensure a last-16 fixture with Ding Junhui on Thursday. China’s top snooker player Ding Junhui struggles to rise to the occasion when he plays in his homeland, but will be delighted to have got the better of a tense encounter with Hitman Holt to earn a berth in last 16. Breaks of 76 and 95 put Ding 2-0 up before Holt battled back to 2-2. The next two were shared then Ding made a 65 to lead 4-3, only for Holt to reply with 99 to square the tie again. In the decider, Ding made 20 then Holt had a scoring chance but missed a red along the top cushion on 8. Ding took advantage with a run of 50 to secure victory. "Michael played well, and I did well in several frames," said Ding. "It’s hard to play your best during the opening match of a tournament. But it doesn’t matter much now, I’ll try my best. I’m still bothered by jet lag and I have to go to bed early in the evening."